I often (for either my job or for the National Sales Network) have to find, review & select promotional products as give-aways, prizes or awards for various types of events. For instance, my chapter is having our State of the Organization on Feb 13th and we have networking game that we are going to play and I have to select appropriate prizes for the event. 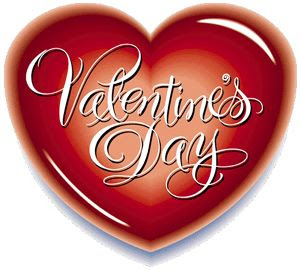 I was recently asked to select and review a keychain from WholesaleKeychain.com for their Valentines Day promotion. 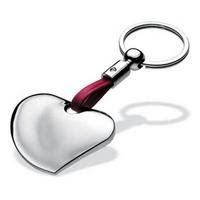 I selected the Metal Heart Keychain - why...I don't know - because it was the one that seemed most "business like" of the selections for my event. It also allowed for 3 lines of engraving, a max of 11 characters per line. All I got was "Forever". I guess my engraving request got lost in email translation; however, on the website there are 3 separate boxes to enter what you want engraved so there really shouldn't be any confusion when ordering. I doubt that I would buy a keychain for a Valentines Day present unless there was a key to a car, house, safe deposit box...you get the point...attached to it. The Crystal Heart Keychain would be nice for that purpose. However, I would purchase them for a business event as a giveaway. 3 readers will have the chance to win one of these key chains if you leave me a comment on what you would use it for or how you would use the keychain (business or pleasure) and which keychain above that you would choose. Leave me a comment by Monday, Feb 8th. You get an extra entry if you twitter about it. Leave a comment that you sent a tweet to ensure your extra entry. Hate contests and just wanna get your own when ever you please then go to WholesaleKeychain.com before Feb 16th, 2010 and enter the coupon code - vday2010 - and you will get 10% off your entire purchase.